There is little point in investing in a hot water system without giving due consideration to where it will be located. 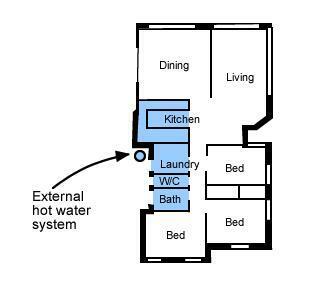 Ideally, the best place for a hot water system is as close to the hot taps as possible. The less distance the water has to travel, the more responsive your system will be. It will be more energy efficient too, because you won’t need to set the base temperature higher to compensate for the time it takes for the water to travel through your pipes. Depending on the design of your house though, this may not always be possible. If you have to make a decision between which tap you want closest to the hot water unit, it is usually best to put it nearer to the highest demand taps, which are most often those in the shower/bathroom. 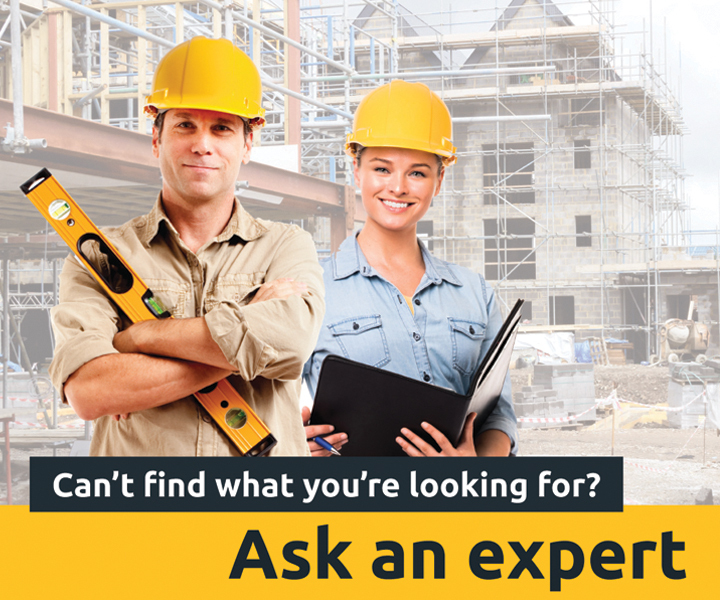 Sometimes hot water systems need to be installed indoors or under cover. In these circumstances, ensure they are well protected from children, and in a position where they are neither in the way, nor likely to be damaged by anything else – a small cupboard is often used for this purpose. Be careful to plan for and leave enough room around the water heater for maintenance and ventilation, as per the manufacturer’s requirements and Australian Standard AS/NZS 3500.4:2003 Heated Water Services (with various exceptions). Likewise, indoor gas units require an exhaust flue to be installed so that combusted gases are released outdoors. Be sure not to leave any corrosive chemicals near your water heater, as these can give off fumes which may be drawn into the water heater, corroding it from the inside. In smaller houses and apartments a storage tank system may not be a feasible option, and you may need to install a continuous flow system. 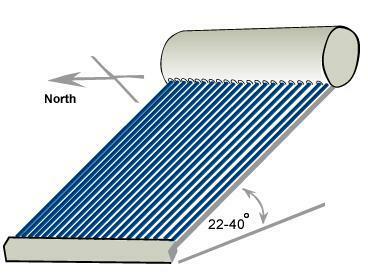 Solar collectors are ideally focused in an unshaded area in a northerly direction and at a pitch of between 22-40 degrees. By facing north, the collectors get the most exposure to the sun as it moves from east to west during the day, maximising the amount of heat that is collected. Solar panels should ideally face due north. The angle of pitch your collectors are set at is another important factor to consider. Too vertical and the water will struggle to reach the top of the panel or tube. Too horizontal and the water will reach the top of the collector before it is warm enough. Be conscious that some water heaters, especially heat pump water heaters, will put out a certain amount of noise. Plan ahead for this, because having to move it at a later date can be an expensive mistake. Ensure the system is installed at an adequate distance from neighbours, bedrooms and outdoor entertaining areas. Check the type of water heater you’re buying as some models will also contain a decibel level (dBA) rating. This is common with heat pump systems as they put out a similar amount of noise to an air conditioner. Check your state’s noise control or noise pollution laws to ensure that your hot water system is not in violation of the law in the position you have planned for it.
" Too vertical and the water will struggle to reach the top of the panel or tube." As far as I know, these tubes do not have water in them - just a heating element that transfers heat to the water in the tank. Am I right?